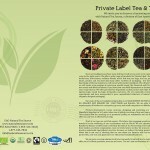 Our Food Service program on our teas and tisanes are offered for private label or under our brands Tea of Life & Dil’s Royal Tea. We offer our vast line of tea blends to some of the best hotels, country clubs, restaurants, gourmet stores, online stores and more. 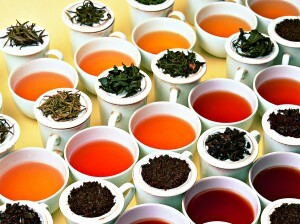 We ensure that our premium quality teas receive the best in taste and quality. Hot tea or Iced tea we want to elevate your customers’ tea experience by offering only the very best, high quality all natural flavored tea from ancient tea gardens to the cups of consumers. Our Tea Masters have carefully selected our teas infused with passion and our rich blends and character for your distinguished guests. We offer hundreds of herbs, single estate and orthodox teas, a wide range of blends and a large selection of specialty teas. We pack for many brands around the world, offer better tea and higher profits. 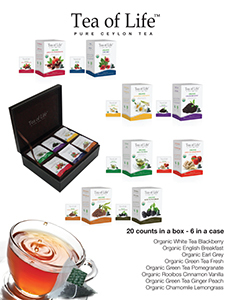 If you want us to pack your Brand, for hot tea or iced tea we guarantee quality, awesome blends and packaging. We know we can deliver. Institutional business, please Contact us for low bulk pricing.